As a lifetime fan of music, the angelic resonance of music has always had a way of uniting and inducing emotions from within. Listening to empowering and uplifting lyrics frequently taps into our consciousness, enabling the mixture of melodies to revive us. 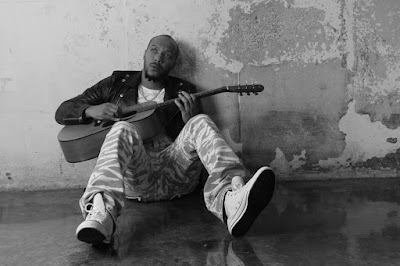 Since the launch of Lyfe Jennings career, he continues to respire new life into his authentic music, utilizing his skills of tune, instrumentation and his ever so inspiring content as he invokes social messages of consciousness, encouraging the betterment and enhancement of self. From some of his biggest hits including “Must Be Nice” and “Hypothetically”, just to name a couple, Lyfe’s newest album “Tree of Lyfe” continues to demonstrate his extraordinary singer/songwriter expertise as he combines his personal occurrences and life analysis to create a masterpiece. I was very much honored to have a one-on-one talk with Lyfe Jennings for Consciousness Magazine, as he elaborates on his new album, career, overall perspective of life, and so much more. Here is what the genius had to share with our readers. Tocarra Eldridge: Hi Lyfe! This is Tocarra. How are you today? Lyfe Jennings: All is well Tocarra. How are you? Tocarra: I’m great! I want to thank you for taking the time out of your schedule to pursue this interview with Consciousness Magazine. Lyfe Jennings: That’s what’s up! Tocarra: Can you start by telling our readers your definition of Consciousness? Lyfe Jennings: My definition of Consciousness is being aware of who you are at all times. That’s what Consciousness means to me. Tocarra: Your 6th album is Tree of Lyfe, what inspired this album and what makes it uniquely different from any other album that you’ve compiled? 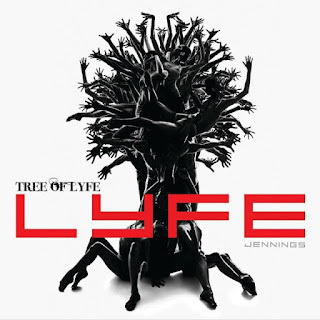 Lyfe Jennings: What inspired this album was just everyday life… experiences that I’ve been thru or somebody close to me went thru. What makes me unique – well I don’t think it’s really unique, it’s just what I’ve been doing. I’ve always talked life experiences, and these are just more of those life experiences that came across my plate. Tocarra: Your lead single “Pretty Is” is an empowering song celebrating women. What is the motivating factor inside you that always makes you want to embrace and uplift women through your music? Lyfe Jennings: Well, “Pretty Is” is actually not my leading single. It’s actually my warm up song. I did that because it’s a lot of information out here that these young ladies need to hear. They [young ladies] tend to feel it’s cool to be out there dancing and such - I respect the hustle, but I always want to give them the real game on it. It’s gonna be pitfalls, but just make sure you don’t jump into this because every rapper is talking about it’s cool. 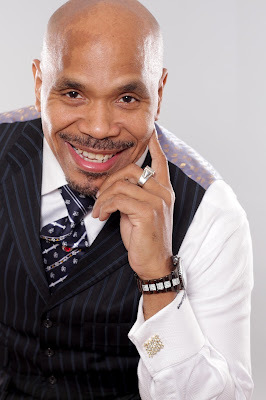 Tocarra: You just informed us that “Pretty Is” is not your leading single, so is there one particular song on your album that reflects the full Lyfe Jennings experience? Lyfe Jennings: Yeah, it’s actually my first single. We just dropped it. It’s called “I Love You.” It’s just really celebrating women; it’s not as situation based like most of my music is. I just wanted to take a moment to celebrate the women who have come this far. Tocarra: If you had first gotten your start several years ago do you think you would be as successful as you are today due to the drastic changes in the music industry? Lyfe Jennings: I don’t know. It’s hard to say. But I do think that the music will be appreciated by somebody as well as it is today. Tocarra: In any genre of music it’s very hard to stand out; however, you have your own unique one-of-a-kind style and niche. As an inspirational and motivational artist, what do you think attributes to you standing out from the crowd? Lyfe Jennings: I think that unconsciously, everybody’s goal in life is to gain control of their mind because everything that you see around you is a reflection of that era. I think that when you see somebody who has gained a great portion of their mind… it’s interesting to you, it is motivating to you, and I think it’s natural for you to gravitate towards that whether it’s Conscious or subconscious. Tocarra: You’ve been going strong in the industry for over a decade. What is your formula or secret to successful longevity in an industry that can be so cruel, where artists are here today and never heard from again? Lyfe Jennings: I focus on the end results. Even now, this is just the middle that’s going on right now with me being successful at the moment. My end result is me being an icon and a motivator, not just the cats that just wanna listen to music or the cats that just wanna do music. I learned to leave the middle alone. Your brain can’t process all of the different things or different mathematical formulas that it would take to create anything. Your brain can’t physically do that. What we can do is just focus and create the end and the rest will take care of itself. Tocarra: In the past, I interviewed India Arie and she spoke of how she remains humble and spiritual in an industry that’s dominated by negative images and music. What’s your formula for remaining humble and projecting a message of social conscious, but yet still being relevant in the industry? Lyfe Jennings: As far as remaining humble, I think it’s just information. When you look around you know that you are not really doing anything. All you are really doing is asking for stuff in this life and everything is taken care of for you. So when you have an understanding of that it’s not hard to remain humble, because you know you are not doing sh-- to begin with. As far as being able to be conscious and remain relevant, I’m not really trying to be that. I’m not focused on trying to remain relevant or trying to remain conscious, I’m just focused on growing individually. And I think that in of itself is going to shine itself. I don’t need to be trying to be huge in the music industry or huge in other people’s eyes as long as I’m huge in my own eyes, and it just translates like that. Tocarra: Can you tell Consciousness Magazine readers some things that they may not know about Lyfe Jennings? Lyfe Jennings: I believe that this life that we live right here is a movie; it’s our own personal movie. I don’t think you can write anything inside the movie, the only thing that you can do is write your ending. As you write your ending the necessary script will rewrite itself. The scenes will reshuffle themselves. A major problem that I’ve had that I am correcting at this point is believing that you have to change something physically itself. You waste energy trying to change something that you can’t change anyway; the only thing you can do is write your ending. At that point you have to relax and trust that no matter what’s going on – whether you view it negatively or positively – that it is going towards the ending you wrote. You learn to let go and stop trying to control everything, because you can’t control anything anyway. Tocarra: So, what is up-coming for Lyfe? Any other endeavors you plan to embark upon? What can fans expect in the future? Lyfe Jennings: I’m definitely going to get into the movies as far as scoring films. We just finished our first film. We plan on doing more of that… and definitely some acting soon. More albums, more touring. The first leg of the tour is going to be about 17-20 dates, then we are going to do about 15 more. That’s a lot of it right there. Tocarra: Before we close the interview is there anything else that you would like to add or discuss? Lyfe Jennings: Yeah! The last thing I want to add is that I appreciate all the fans, all of your support over the years. If you’ve been liking what I’ve been doing thus far, then continue to follow me. 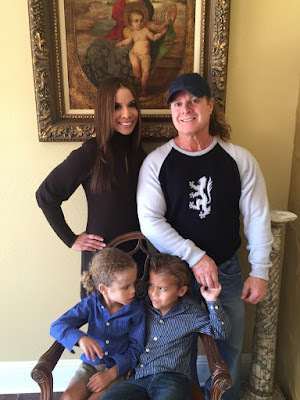 Tocarra: Thank you so much Lyfe this has been a wonderful interview! Lyfe Jennings: Alright, thank you love! I appreciate you.